Over the last 30 years, the earth has lost half of its corals worldwide. Although this might appear to be an “out of sight, out of heart” problem, its economic and social impacts are beyond imaginable. 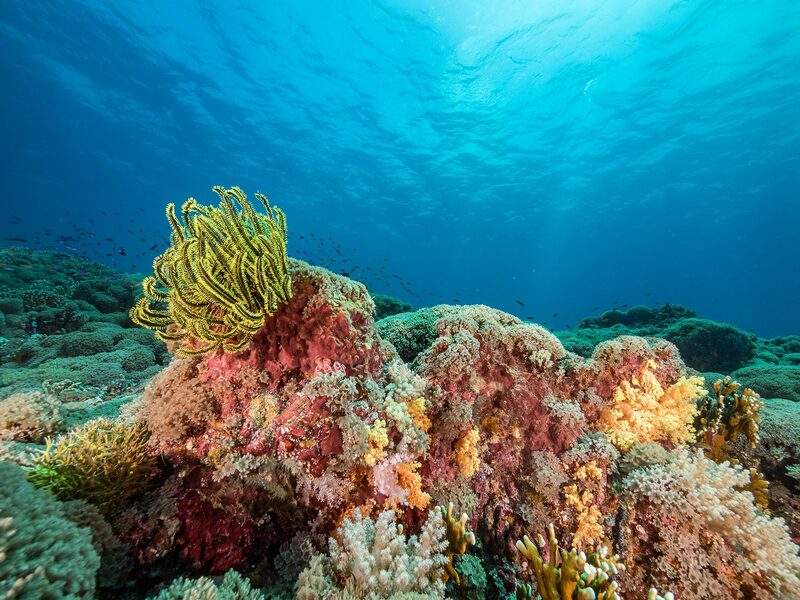 Corals are the foundation for the marine ecosystem. They are to the ocean, what trees are to forests, or buildings to cities. Despite now covering less than 1%of the earth’s surface, corals are vital to the whole planet, as they produce part of the oxygen we breathe, protect coastal communities from storm waves and cyclones, provide sand for beaches and generate enormous revenue for local businesses. Moreover, new treatments for Alzheimer’s disease, heart disease, viruses and inflammation are being developed from the molecules present in them. As corals provide habitats for one quarter of all marine species, once the coral is dead, it will destroy important marine life, thereby impacting the more than 500 million people that depend on fish for income and food supply. Coral are in fact composed of millions of animals called polyps . During the day, the plants that live inside the polyps, microalgae, conduct photosynthesis thereby providing food for the animal. At night, the plant sleeps while the animal becomes active. It expands its polyps, its tentacles emerge and anything that swims by is caught by the cells on the tips of the tentacles. When many colonies of coral polyps come together they create a much larger home, the coral reef. Coral reefs used to compose beautiful sceneries; they had the ability to amaze anyone who crossed their path. However, now, large reefs are turning white as a consequence of global warming, a phenomena called bleaching, which is the first sign that the coral is dying . Most of the extra heat trapped by greenhouse gases is being transferred to the oceans and, as the sea temperature rises, the small plants that live inside the coral lose their ability to photosynthesize and feed the animal host. Under stress, the coral expels the plant, leaving behind the transparent tissue and losing its source of food. When white, the coral remains alive but does not allow anything else to grow or reproduce inside it. Eventually, the reef degrades, leaving fish without habitats and coastlines less protected from severe storms. The sea is getting warmer every year, killing corals all over the world at a faster and faster pace as oceans have become too warm for coral reefs to survive in. In 1997/1998 we witnessed the first global scaled mass-bleaching and the second global scaled mass-bleaching occurred 12 years later. Now, after only five years, we have a potential third mass coral bleaching and hunger, poverty and political instability are predicted as the great consequences of such an event. In 2016, 29% of the corals on the Great Barrier Reef died in one year alone, and with 70% of coral reefs worldwide gone, or under threat, the good news is that it is still possible to protect the existing ones, or help them recover. The United Nations 2030 Agenda for Sustainable Development outlines a plan for the future protection of the ocean and Sustainable Development Goals (SDGs) have been designed with the purpose of focusing more sharply on the economic, social and cultural ramifications of major declines in fish populations, coral reef ecosystems and coastal erosion due to rising sea levels and poor management. In addition, the UN Environment is promoting international cooperation on the issue, working with a wide variety of stakeholders, including the International Coral Reef Initiative, the Global Coral Reef Monitoring Network and the Regional Seas Programs, while also supporting ongoing projects that help protect our coral reefs. A healthy ocean means a healthy planet, and there are actions anyone can take to help maintain what is left of coral reefs, such as water conservation, measures to reduce pollution (by trading in the car for a bike or the bus), reducing the usage of pesticides and fertilizers that can end up in oceans, as well as restraining the usage of other pollutants such as oil or gas, properly disposing of trash (keeping it from reaching the ocean), planting trees or even volunteering to save a coral reef or for beach cleanup. Through its marine preservation program, the Mirpuri Foundation is deeply committed to keeping our oceans alive, and is fully aligned with the United Nations’ goals and efforts to avoid the destruction of marine ecosystems and its habitats.